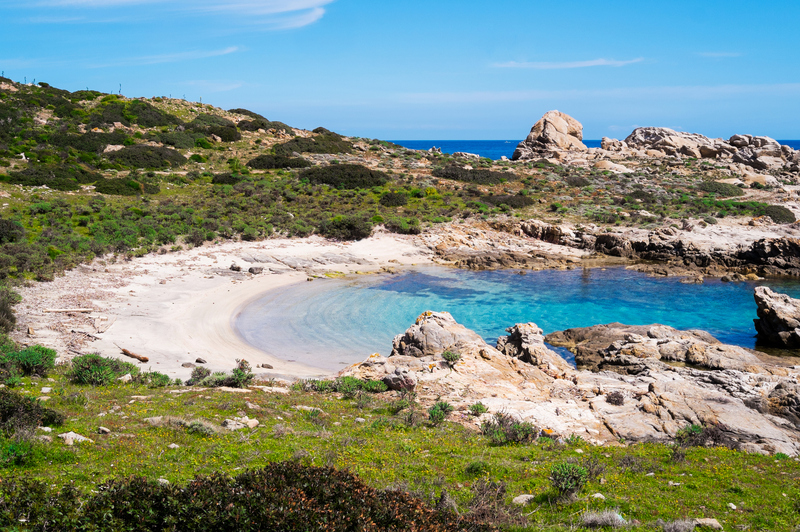 It is framed by a granite promontory in the northeastern extremity of Asinara: you will be able to bathe in a heavenly natural pool, the only beach - and what a beach! - in the protected area, where bathing is possible. A visit to Cala Sabina will be an unforgettable experience, because of its fine, white sand, so soft that it seems like flour, where you can stretch out and relax, because of the clarity and colour of its waters, which ranges from various shades of blue to light green, and because of its unspoilt seabed, so transparent that you will see numerous trusting fish swimming close to you. Here, flora and fauna are in a safe and protected place. The beach is dotted with a few rocks and set in luxuriant Mediterranean scrub, the colours and fragrances of which characterize the entire coastline of the national park. Cala Sabina can be reached via sea, following indications and authorizations provided by the park authority, and via land, along the trail that climbs towards the north from Cala d'Oliva. First, you will be attracted by the two equally splendid beaches near the little village and also by the village itself, which was once inhabited by the families that founded Stintino (1885), later the direction of the prison districts - a short distance from the bunker - as well as the island residence of the judges Falcone and Borsellino and today the home of the Botanical Observatory. During your visit to the island within the Island, there are other coves not to be missed and, when moving south, you will come across: Trabuccato, a snorkelling paradise, where you can admire rare giant molluscs; d'Arena, which many consider to be the most beautiful beach: pure white sand and transparent waters; and Sant'Andrea, white sand, washed by the turquoise sea and protected to the highest degree, which can only be visited when accompanied by the park's guides. 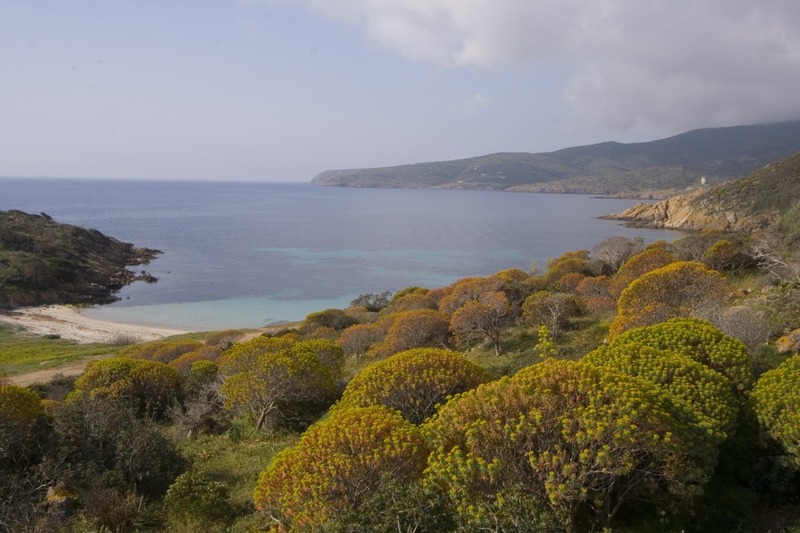 A great many excursions start in Cala Reale, leading you along the trails of Asinara, a fascinating place in which time stands still. 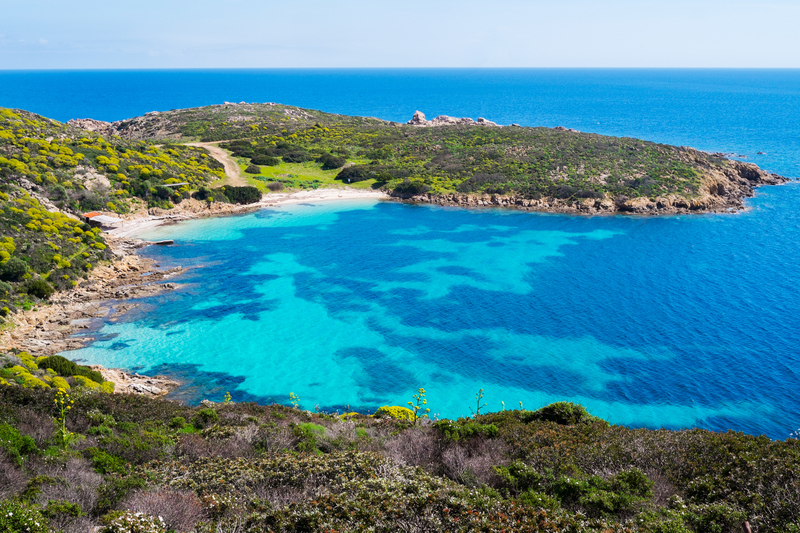 Here, nature is the undisputed ruler and plant and animal species, extinct elsewhere, live here undisturbed, among which the symbol of the island: the Asinara donkey. Tuna Trapnet Fishing Museum "Il Ricordo della Memoria"